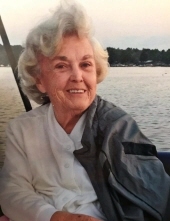 Priscilla Ann Kilpatrick, age 88 of Sarasota, formerly of Lake Miramichi in Evart, MI passed away Sunday, March 17, 2019 at Sarasota Memorial Hospital. She was born June 19, 1930 in Detroit to Herman Goodsmith and Corabelle Wimmer, stepfather Fred Wimmer. Priscilla enjoyed doing arts and crafts, particularly sewing projects. She liked to gaze at her flowers in the garden but most of all, she loved spending time with her family. She enjoyed her time in Florida, Michigan and NC with the children, grandchildren and great grandchildren and many extended vacations with Judy. Priscilla cherished every single moment with her loved ones and will be missed dearly. She is survived by her children, Judith (Roger Smith) Kenton, Carol (Joe) Palma, George “Rick” (Pamela) Kilpatrick, and Robert (Cheryl) Kilpatrick; grandchildren, Tambria (Chris Rogers) Schaefer, Traci (James) Caruso, Tania (Jeff) Susalla, Scott (Katie) Garrant, Bryan (Ashley) Kilpatrick, Jessica (Michael) Nienhuis, Carly (Jason) Terns, Eric Kilpatrick, Megan (Brandon) Whitney, Lauren Kilpatrick, Conor Kilpatrick, and Rachel Kilpatrick; and great grandchildren, Kylee Shaefer, Ethan Shaefer, Ella Shaefer, Briana Siwicki, James Caruso, Katie Caruso, Reagan Susalla, Ryne Susalla, Michael Garrant, Jeffrey Garrant, Luke Garrent, Andy Garrant, Cecelia Kilpatrick, Lucas Kilpatrick, Bradley Kilpatrick, and Landon Nienhuis. Preceding her in death are her husbands, George Harvey Kilpatrick and Lyle Young; her parents; and sisters, Patricia Magdich and Sally Weaver. The family will receive friends on Friday from 3:00 PM until 8:00 PM at the Sawyer-Fuller Funeral Home, 2125 12 Mile Road, Berkley (two blocks west of Woodward Avenue. Funeral service will be 10:00 AM Saturday at the funeral home. Private burial at Roseland Park Cemetery, Berkley. Memorial contributions would be appreciated to the American Heart Association and/or the Beaumont Foundation. To send flowers or a remembrance gift to the family of Priscilla A Kilpatrick, please visit our Tribute Store. "Email Address" would like to share the life celebration of Priscilla A Kilpatrick. Click on the "link" to go to share a favorite memory or leave a condolence message for the family.